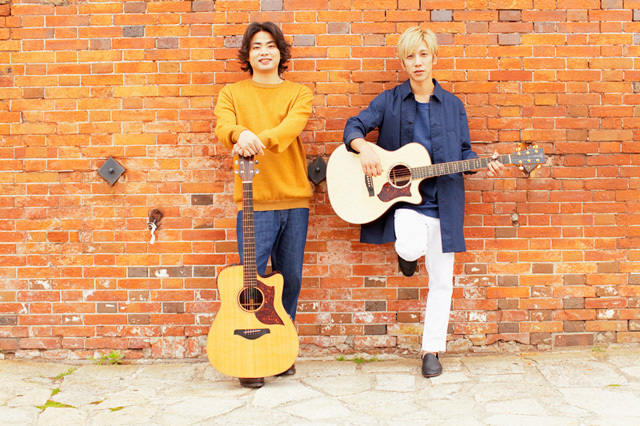 Tokuoka Yoshinari (born on July 15th, 1978) and Takuya Miura (born March 5th, 1984) comprise DEPAPEPE, a Japanese two-man acoustic guitar duo. The duo formed in 2002. They released three indies before their major debut, which collectively reached sales figures of about 100,000. They made their major debut in 2005 with their album “Let’s Go!! !”, and ranked within the top 10 of Oricon’s Instrumental Artist Debut Chart. The band’s name was cobbled together by combining the Japanese word for ‘overbite’, ‘deppa’, because of Miura’s overbite, and the name of Tokuoka’s previous band ‘DERUPEPE’.